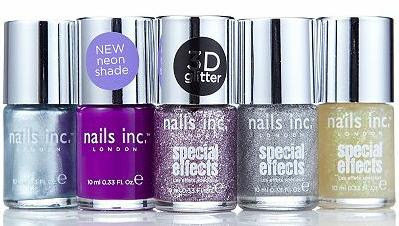 I just can't help myself when it comes to the value sets Nails Inc sell on QVC - it's how I've managed to accumulate quite a ridiculous collection. 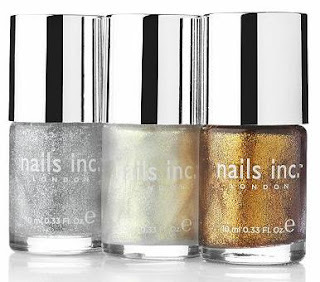 A couple of months ago they offered a collection called 'ahead of the trend' with the idea being that you could purchase three auto deliveries in the year with different on trend shades. 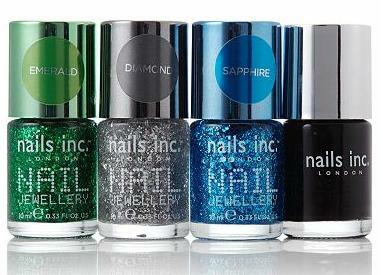 This is the second installment of that offer, and you get 7 lovely polishes for around £26 - bargain. 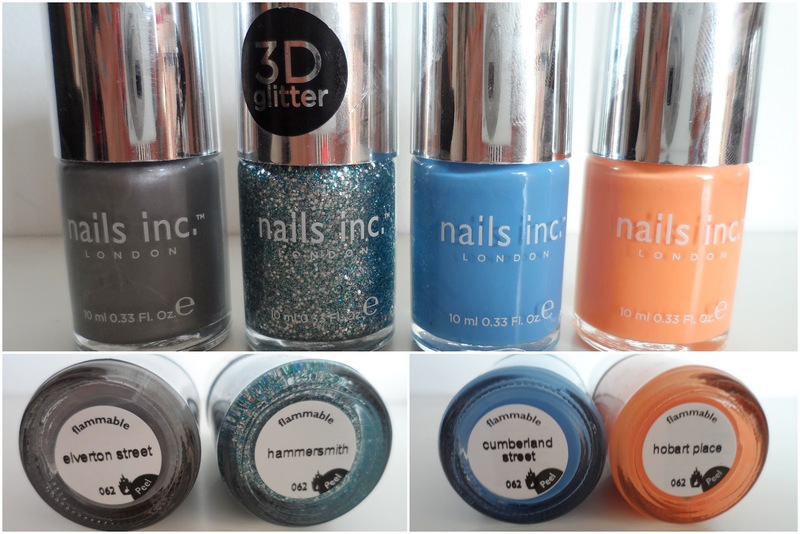 As you can tell the collection includes some bright summery shades, the stand out for me being the 3D glitter - Hammersmith. I'm also instantly drawn to the three bright shades - Cumberland Street, Hobart Place and Pont Street Mews, but I think that's because the sun has been shining. My least favourite is the silver Elverton Street, as I just seem to have gone off silver lately, but I'm sure I'll find a use for it. As you can imagine I may go a little NOTD crazy over the next week or two as I play with my new toys, but as I already have Hammersmith adorning my claws right now, here it is for your sparkly magpie eyed viewing pleasure. I instagramed this yesterday and it proved rather popular. Isn't it a total beaut? I looked on the QVC website to link you up with this set, but I can only see the first installment of 'ahead of the trend' on there - here. If you want the second collection, maybe give them a call and see if it's possible to get it without having purchased the auto delivery option.